Over 2 Lakh coders who tried their best to win prizes worth Rs. 3 Crores, only the top 10K+ have made it to the Semi Finals, and only the top 200 will make it to the Grand Finale Hackathon to be held in Bangalore on June 09, 2017 – That’s a pass percentage of less than 0.1%, which makes this a selection 7X tougher than the Joint Entrance Examination of the IITs! Interestingly, while working professionals constituted 72% of the participants, but clearly youth overtook experience in the qualifying round with a whopping 69% of top scorers with less than 2 years of experience. “We are delighted to see such massive participation and such a successful first round. These truly exceptional results prove our purpose - being able to give these young talented coders a chance to super-accelerate their career growth is an integral part of our mission. 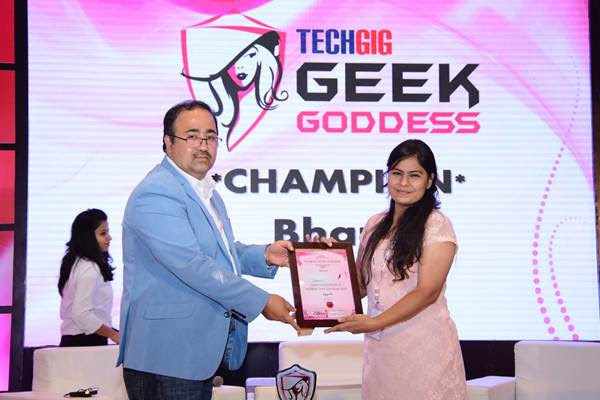 TechGig Code Gladiators is all about identifying and showcasing the new wave of tech talent that emerges every year, and revealing their coding chops to top corporates across the country.” says Ramathreya Krishnamurthi, Business Head, TechGig.com. Amarinder Dhaliwal, CPO, IndiaMART says “We have built a culture where our employees are provided with an opportunity to not only develop their professional skills but also the critical personal skills. We found TechGig Code Gladiators a great platform for rockstar coders to come together, compete and learn. Code Gladiators not only builds a healthy competitive culture in our organization but also boosts performance and motivation. Through this association, I expect to uncover some top tech talent which might have been hidden otherwise." · Almost 70% of the top scorers had less than 2 years of experience. · The IT Hubs of Bangalore, Delhi, Hyderabad, Pune, Chennai and Mumbai accounted for 64% of participating coders. · Interestingly, while Bangalore coders led the pack in terms of participations, Delhi NCR had the best results with the most top scorers from the national capital region. · Over 42% of coders preferred coding in C, while 35% preferred coding in Java. · Top Scorers in round one used Java, C, C++, Python, C# and PHP as their top languages of choice. · Interestingly, coders from Bangalore, Mumbai and Delhi prefer coding in Java, while those in Delhi Hyderabad and Chennai prefer C Language. With such massive participations, TechGig has once again consolidated its position as India’s Biggest Coding Arena TechGig Code Gladiators - the undisputed leader in coding contests, which won the Limca Book National Record for being India’s Largest Coding Contest in 2015 and 2016.